Hampshire Constabulary had agreed that confidence in the 20 year investigation into the disappearance of Damien Nettles had been lost and having the IPCC look into it was the way forward. The family heard back from the IPCC today. A complaint against Hampshire Constabulary over the handling of the case of missing Isle of Wight teenager, Damien Nettles has been passed back from the Independent Police Complaints Commission (IPCC) to be ‘investigated locally’. Damien Nettles went missing on 2 November 1996 at the age of 16 in mysterious circumstances. Twenty years on and his family are no closer to knowing the truth about his disappearance or who was responsible. 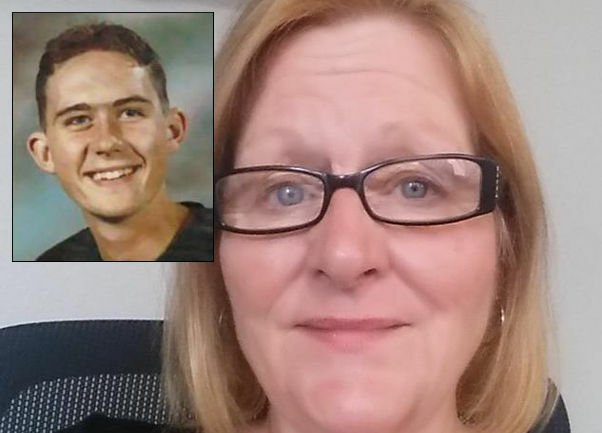 Hampshire Constabulary had agreed with Damien’s mother, Valerie, that confidence had been lost in the 20 year investigation and that perhaps having the IPCC look into it was the way forward. Today (Friday) Valerie was advised by the IPCC that they were referring the case back to Hampshire Constabulary Professional Standards Department (PSD) for a “local investigation”. “All I wanted is an independent investigation by unbiased eyes. The way I view this process is the offender has been given the task of investigating their own crime. Naturally I will work with the officer assigned to this task. Should the family feel the re-investigation does not meet their expectations, they can appeal directly to the IPCC for them to carry out the investigation. The complaint submitted to the IPCC was based on Hampshire Constabulary not meeting the ‘Standards of Professional Behavior’ in the handling of Damien’s case back in 1996. Over the years there have been lapses that have undermined the family’s confidence, including them having to deal with around 30 officers in 20 years. Valerie explains that although their last complaint (in 2005) resulted in a local resolution, it still left some areas of concern/. These have been highlighted in the latest complaint. “Damien’s disappearance was not taken seriously from offset – they had his age as 19 when he had only just turned 16. I was insulted by officers telling me Damien was 19 and old enough to go off without my say so. Disposal of police notebooks and duty logs – a cause for concern as some of that information may not have been entered into the HOLMES database. Data was not input into HOLMES database until 2006, although the specialised investigation software was rolled out in 1985. The family feel critical data was lost during that period, which may have impinged progress with the investigation. A suspect in the case had obtained witness statements (discovered by BBC reporters whilst making the ‘Unsolved’ mini series). Persons of interest were arrested on conspiracy to murder, yet Hampshire Police say this remains a missing person investigation. Claims that Damien’s case was mishandled initially by the police who were on duty in Cowes police station. “During the early part of the investigation a property in Sun Hill was mentioned numerous times, but the police assured me it was closed for refurbishment, which had been confirmed by the council. 13 Comments on "Damien Nettles: IPCC respond to police investigation complaint"
Whilst I fully sympathise with the family, I feel that all that could be done has been done. It is surely a waste of police resources to continue after all this time (and I am not a fan of the police). You are not in possession of the full facts. If it was a member of your own family you would feel differently. Yes, she is. She’s a family member, as am I. My brothers life, as with every missing soul, is worth every penny. My heart aches for this poor family. It is terrifying to think, as a parent, how little regard was paid to the safety of this young lad when he was first reported missing. The disastrous investigation to date and the indications of a cover-up should not be ignored any longer. Of course there should be an independent investigation. What on earth is the point of the IPCC? I find it hard not to question why a child of just 16 was roaming the streets and pubs alone,seemingly very drunk, at midnight, on a cold wet November night. The parents must take at least some responsibility surely? Its easy to just point the finger at the Police, even if they were slow in reaction and possibly failed in other ways. Which is probably why the police initially thought he was 19, perhaps his being out all night and drunk? I think this has to stop. His family and friends know the truth of how he was…and hands up if we all know where our 16 year old sons are every moment of every day ?…..children are often deceptive-as are adults. Let’s leave the judgement out and focus on the investigation or lack of..
Obviuosly everyone feels compassion it’s a terrible situation. The reason one assumes he was out all night is merely the fact he wasn’t home by his curfew time of midnight,nothing more. No judgement, have seen how it escalates in other well known cases. Just an opinion. Apologies.